Australia celebrates Mother’s Day on the second Sunday in May, much like a number of other countries including America. However, Australia has its own story regarding the history of this special day. We’ll look at the history of Mother’s Day in Australia a little later. First let’s consider why it is celebrated and what the day means to mums across the world. What else would a day set aside for treating your mum to gifts and other meaningful gestures be called? But Mother’s Day is more than that. In Australia this day is very important for family gatherings. Lunch time gatherings, and the ubiquitous ‘Aussie Barbie’ are often part of the occasion. Christmas is the most obvious time for families to get together, but Mother’s Day comes a close second. If mum gets a great gift, and has her family around her, she’s going to be chuffed to pieces. So who is it that the Aussie’s have to thank for their Mother’s Day celebration? Mrs Janet Heyden is the lady you have to thank for bringing Mother’s Day to Australia. In 1924, she was a resident of Leichhardt, Sydney, and was inspired to start the tradition after visiting a patient at the Newington State Home for Women. She was saddened by the number of lonely and forgotten mothers. So took it upon herself to try and cheer them up. She enlisted the help of local school kids and businesses. Donations were given and the gifts were taken to the lonely residents of the home. Her caring gesture was repeated every year after that and more people became involved. The National Library of Australia has in its archives and interesting newspaper article from 1969, that gives all the details. You can read it right here. Today the day has become far more commercialised, which in a way is a little sad. However, here at uniquemothersdaygifts.org we plan to try and redress the balance. And restore the true sentiment behind Mother’s Day gifts in Australia. 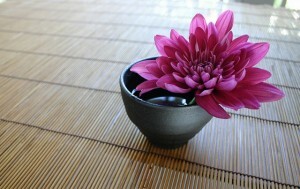 A traditional gift in Australia for Mother’s Day is the chrysanthemum. And why not when its name ends in mum? Australian men often wear one in their lapels to honour their mothers. Mother’s Day gifts in Australia include the usual fare of flowers and chocolates. But what a short term gift they always turn out to be. The flowers fade and the chocolates taste so yummy they won’t last long either. Far better to give her a keepsake. Something that will last forever, such as a gold dipped rose. Add a personal message to make your gift more meaningful, and it will become part of the gift itself. Alternatively try an engraving. Jewellery is the perfect kind of gift if you’ve decided on an engraving. The message doesn’t have to be long winded, simple can be just as effective. 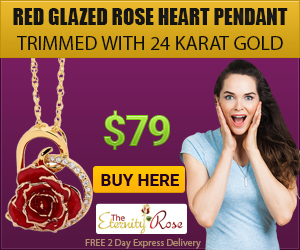 An item of jewellery that includes her birthstone will show you’ve really thought about her gift. Silver, gold, or platinum jewellery make the perfect Mother’s Day gift. Mother’s Day hampers are an idea if you want to give your mum a selection of Mother’s day gifts. Rather than splashing all your cash on one gift in particular. The great quality of a gift hamper is it can be tailored to suit individual needs. If she loves to feel beautiful, then fill her hamper with a range of beauty products. If she’s a bookworm then fill it with books. For the foodie the world is your oyster. Fill the basket with treats and drinks from around the world. Or gather together the ingredients for her favourite meal. Unless you’re a real klutz in the kitchen, you should create the dish together. 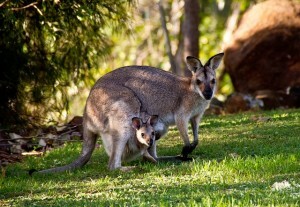 Another very popular Mother’s Day gift in Australia is the gift of an experience. Give her the chance to try something different. It might change her life completely. Just a small selection of the type of experiences you can choose in Australia as a gift for Mother’s Day. Wherever you live in the world, take the opportunity on Mother’s Day to show your mum you care. You can choose to do something special, give her a gift, or simply spend more time together than normal. Just make sure you both enjoy the whole experience.